Alessandro Sciarroni starts a new research on the use of the voice on stage, looking at ways of turning on this aural element into a body. The duration of the performance points in the direction of an expanded temporal dimension. The sound emitted by the bodies and manipulated by the composers, links the performer’s space to that of the audience and offers the opportunity to be placed in the presentness of time and space. The public is invited to embark on a journey in which time’s new dimension allows for unforeseen epiphanies: the appearance of the human. Coproduction Tanzfabrik Berlin (Germany), Centrale Fies (Italy), L'arboreto - Teatro Dimora di Mondaino (Italy) and other coproduction partners to be determined. 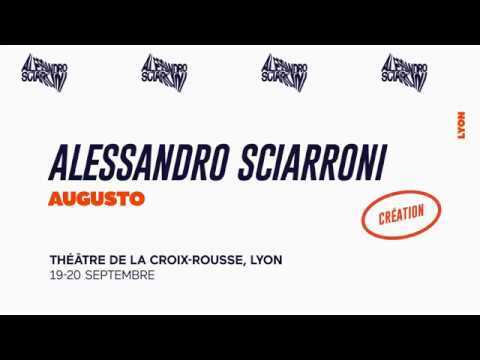 Allessandro Sciarroni is associate artist at CENTQUATRE-PARIS and is supported by the apap - Performing Europe 2020, a project co-funded by the program Creative Europe of the European Union. Born in Italy, Alessandro Sciarroni is an Italian artist active in the field of Performing Arts with several years of experience in visual arts and theater research. endurance of the interpreters, looking at a different dimension of time, and to an empathic relationship between the audience and the performers. His works have been performed worldwide: Europe, South and North America, Middle East and Asia. Among the main events he took part: the Biennale de la Danse in Lyon, Kunstenfestivaldesarts in Brussels, Impulstanz Festival in Wien, the Venice Biennale, the Festival d’Automne and the Festival Séquence Danse at 104 in Paris, Abu Dhabi Art Fair, Crossing The Line Festival New York, Hong Kong Art Festval, Juli Dans Festival in Amsterdam, TBA Festival Portland, Festival Panorama Rio de Janeiro and he exhibited his work at the Centre Pompidou in Paris, The Walker Art Center Minneapolis and the MAXXI Museum in Rome. Subscribe to the newsletter and stay connected to the Biennale !